ABC Pediatrics’ provides diagnosis and treatment of mental health and behavioral issues. Our health care team recognizes the significant need for pediatric mental health care and continuously embraces Mental Health Awareness. The well respected health care team at ABC Pediatrics would not be complete without our mental health department. We are pleased to have 3 Licensed Clinical Social Workers (LCSWs), as well as a counselor serving as a school liaison integrated into our team, possessing over 60 years of diverse mental health experience. 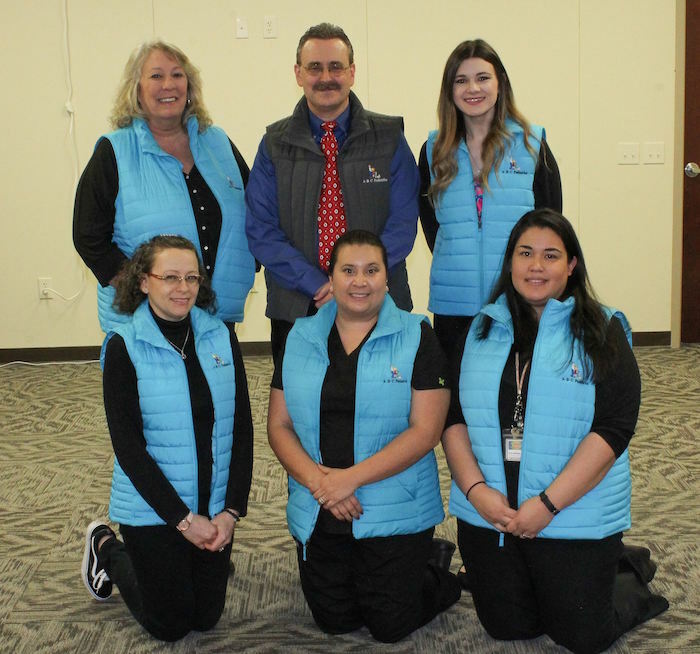 They work closely with our Primary Care Providers and are integral parts in the treatment and management of our patients with behavioral issues, such as ADHD, Autism Spectrum Disorder, depression, anxiety, eating disorders, and conduct disorders. You may view their bio’s below. In addition, the latest, most objective and efficient Attention Deficit Hyperactivity Disorder testing technology (Quotient testing) is available in our office. Our staff is eager to answer any questions about our mental health services. Simply call our office at 910.892.1333, ext 2231 or access our new patient portal and sign up for a new account. Michael Martin, LCSW earned his Masters in Social Work at East Carolina University in 1991. He offered services to children, adolescents and adults with wide varieties of difficulties in both in-patient and out-patient clinics. He helped launch The Mental Department of ABC Pediatrics in May, 2008 and remains an integral part in the treatment and management of our patients with behavioral issues, such as ADHD, depression, anxiety, eating disorders, and conduct disorders. Mr. Martin currently teaches a Social Work class at Campbell University and provides emergency mental health assessments at Betsy Johnson Regional Hospital. He has over 22 years experience in direct patient care as well as managing and directing mental health services. Melanie G. Crumpler, LCSW earned her Master’s Degree in Social Work from The University of Michigan, Ann Arbor in 1994. Mrs. Crumpler has experience in various areas of social work. She operated and supervised a homeless shelter for adolescent girls in inner-city Detroit; worked as a Child Protective Service Social Worker; is trained in forensic interviewing; and has spent the last 10 years providing out-patient mental health evaluations and treatment to children and families. Mrs. Crumpler’s areas of specialty include diagnosing and treating trauma due to abuse and neglect; helping children overcome anxiety and depression; and working with children and families affected by autism spectrum disorders. Autumn Karsko, LCSW-A earned her Bachelors of Social Work from the University of North Carolina at Wilmington and then followed that with her Masters of Social Work at The University of North Carolina at Greensboro in 2016. Autumn has worked in an outpatient mental health setting with children and adolescents in Greensboro, North Carolina, as well as been a part of a sexual assault hospital response team in Wilmington, NC. Additionally, Autumn has also been involved in anti-human trafficking efforts, working with various organizations and safe houses across the state of North Carolina. Autumn joined the ABC Pediatrics’ health care team on July 7th, 2017 and is excited about helping our pediatric community. Sylvia Tart, MA, Ed., earned her BS degree in Psychology from Pembroke State University in 1985, and her Master’s degree in Counselor Education from East Carolina University in 1986. She began her career as a K-8 School Counselor and Coach in Harnett County. She transitioned into the role of Social Worker II with Cumberland County Mental Health in 1989 to supervise an Outpatient Support Center. She provided day treatment services for Willie M. class members, who were violent and severely disturbed teens. From there, she went into administration at The O’Berry Center, where she was an Active Treatment Coordinator/QMRP. She returned to Harnett County in 1994 and continued to provide School Counseling services for Kindergartners through Twelfth Graders until her retirement in 2016. Sylvia joined the ABC Pediatrics team in the Fall of 2016 as a School Case Manager, advocating for patients and their families. Sylvia brings over thirty years of educational and mental health experience to ABC Pediatrics, which helps us to maintain valuable relationships that are essential to our successful collaboration with local school systems. She has already impacted our patients’ lives with her effort to encourage communication, and ensure the availability of necessary resources to meet their needs.